On this episode of Life, the Universe & Everything Else, Ashlyn, Lauren, and Gem discuss fad diets with host Laura Creek Newman, our resident Registered Dietitian. Topics covered in detail include the Paleo Diet, the Sweet Potato Diet, the Blood Type Diet, and The China Study. On this episode of Life, the Universe & Everything Else, Ashlyn, Laura, Gem, and Lauren talk about how bad we are at assessing risk. Also on this episode: Do we get more risk averse as we get older? Is margarine going to kill you, or will a hippopotamus get you first? Will the world end not with a bang but a Boolean? Note: Music featured in this episode include samples from “Death from the Skies” by George Hrab (featuring Phil Plait), “Paranoid Android” by Radiohead, and “Binnorie” by Mediæval Bæbes. Cross-posted from Dietitian at Home. Apparently there is nothing coconut oil cannot do. According to innumerable health and lifestyle sites, it’s good for the body inside and out; you’ll never need another fat again. There’s so much hype and beautiful, flowery language around this food that it is really difficult to know what is true, and what is a bit (or an extreme amount) of exaggeration about the virtues of this wonder fat. This article makes some pretty bold assertions, and always, extraordinary claims require extraordinary evidence. But first, a primer on coconut oil. Despite its name, it is a fat that is solid at room temperature. This is due to the fact that it contains 90% saturated fatty acids, which is more than butter. What sets it apart from most other solid fats is the types of saturated fats in coconut oil. Fatty acids – the components of “fat” – are strings of carbon atoms with a certain number of hydrogen atoms attached, with or without double bonds. Saturated fatty acids have no double bonds; this is what allows them to fit together compactly, making a solid fat. Fatty acids come in many lengths, from 4-carbon chains all the way up to 22 carbons, occasionally more. Most of the saturated fats in butter or animal fats are long-chain, 16 to 20 carbons atoms. Of coconut oil’s 90% saturated fat content, 58% of those fatty acids are medium chain triglycerides (MCTs), 6-12 carbons per chain. These fats are metabolized differently than long fatty acids, and this is a key point to remember when examining the health claims. Interestingly, coconut oil contains no omega-3 fats, the polyunsaturated fats most associated with reduced cardiovascular disease risk. Even butter contains 1% omega-3 fats. 1. Coconut oil has a unique fatty acid composition with medicinal properties. Yes, it has a unique composition, just like every other fat out there. We wouldn’t expect coconut oil to be exactly like butter, because then it would be butter. The medicinal properties claim comes from the high proportion of MCTs. MCT oil is regularly used in medical nutrition therapy for many conditions including malnutrition, malabsorptive disorders, the ketogenic diet for seizures and other brain disorders, and more. It is a manufactured product, meant to ensure purity, potency, and almost exclusive MCT content. Any health benefits from coconut oil cannot be fairly equated to those of MCT oil because they are very different substances. MCTs do have a beneficial effect on the conditions listed above, however, we cannot extrapolate that people without these conditions would see the same benefits. 2. 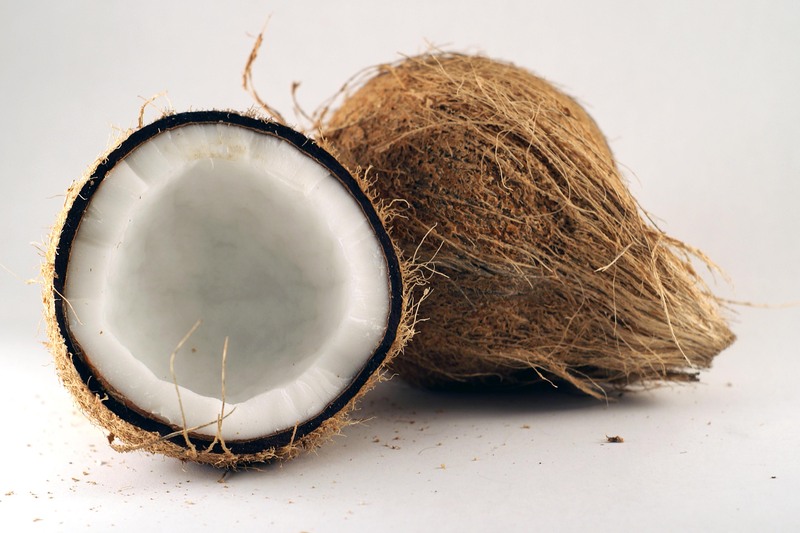 The people who eat the most coconut oil are the healthiest. This is another epidemiological finding that cannot imply causation. Both the groups pointed out, the Tokelauans and the Kitavans are small, isolated populations, living largely subsistence lifestyles, with almost no intake of western refined foods. There are so many differences between their genetics predispositions, activity levels, lifestyles, and diet compared to ours in North America that to conclude their apparent reduced incidence of cardiovascular disease is due to coconut oil is unfair at best, deceptive at worst. 3. Coconut oil will help you burn fat, lose weight. Right now there is not enough evidence to make this assertion. It doesn’t mean it’s not true, or that coconut oil does not have a favourable effcect compared to other fats, it’s just that the research hasn’t been done. A lot of the articles cited in support of this claim, like this one, this one, and this one are very small (12 or fewer subjects each) and completed 20-30 years ago. Small sample size reduces the strength of the evidence, so no big conclusions can be made. And again, some of these studies used MCT oil, not coconut oil; strike two against this claim. 4. Coconut oil has antimicrobial effects. Most of the studies cited to support this claim are in vitro studies, a.k.a. put-things-in-a-petri-dish-and-see-what-happens study. We learn a lot from this kind of research, it’s what gives us a better understanding and generates many more research hypotheses. But this type of research absolutely cannot be used to make recommendations about human health and interventions. The reason is simple: the human body is not a petri dish. Our bodies are not tightly controlled environments where only one variable is manipulated at a time. Using in vitro studies to make a health claim is like saying that we are made of atoms, atoms are mostly space, thus we are invisible. An interesting idea, but clearly false. Luckily, a better in vivo (in a living being in semi-normal conditions) study was done to test the antimicrobial claims of coconut oil but sadly, the beloved tropical fat didn’t do any better than controls. Please, please, please, if you suspect you have any type of infection, skip the coconut oil and talk to your doctor. 5. Coconut oil can reduce hunger (…thus helping you lose weight). Just like the previous weight loss claim, the studies cited are old and small, the test diets are very different from typical diet patterns, and once again, they are using MCT oil, not coconut oil. I’m not saying there’s no benefit to coconut oil here, there just isn’t enough good evidence to support that. 6. MCTs in coconut oil are helpful for seizure control, as part of the ketogenic diet. I feel like we’ve covered this already…but here it goes again. Yes, the high fat ketogenic diet, with or without MCTs, is a very useful treatment for some people with significant neurological disorders. If you do not have a condition like that, this “benefit” does not apply to you. As always, the claimant is conflating concentrated MCT oil with coconut oil. If you or a loved one do love with a condition for which the ketogenic diet may be prescribed, listen to the advice of your health care team and ignore this claim all together. Ultimately, this claim helps no one and may cause harm to someone who thinks they will get a health “boost” from switching to coconut oil. This is a dangerous path to take. 7. Coconut oil improves blood cholesterol levels, especially the “good” cholesterol HDL. This is probably one of the best researched topics in the usefulness of coconut oil at present. Coconut oil does seem to show some favourable effects on cholesterol levels and types. What this tells us is that coconut oil is likely safe and can be part of healthy diet. This does not tell us that we should eschew all other oils and use coconut oil exclusively for all of our fat-based needs. 8. Coconut oil can be used as sunscreen and moisturizer. Sunscreen can also be used as sunscreen. Coconut oil’s impressive-sounding ability to block out 20% of UV rays is no match for your run-of-the-mill SPF 15 sunscreen which blocks 93% of those rays. As for moisturizer, plant-based oils and fats have been used – and continue to be – for centuries as moisturizers. Cocoa butter, shea butter, and coconut oil tend to be favourites because of the nice smells and smooth, not oily textures. This likely has to do with the MCTs and their low melting point, but I can’t be sure and I’m too tired to keep talking about this. Moving on. 9. Coconut oil can improve Alzheimer’s. False. Hear-say and case-studies do not equal evidence. Next claim. 10. Coconut oil can help you lose dangerous belly fat. See the items above for weight loss. There is some research showing that coconut oil may in fact have this positive effect, but as usual, no conclusions should be drawn yet. If you like coconut oil, great. If you don’t, great. Whether you choose to include it or not is up to you. Either way, your best bet is to include a variety of plant-based fats in your diet, and don’t look for any magic effects in a jar. After gluten, dairy, particularly liquid milk, is the new food boogey-man. It’s not hard to find volumes of pages, posts, and rants encouraging the public give up cereal’s companion, either in favour of a plant milk or nothing at all. One such article caught my attention and between the snarky tone and the bold assertions of no counter point to the author’s opinions, I felt a blog post coming on: challenge accepted, my friend. I would like the record to show that I’m not here to cheer on dairy consumption, or even really defend it; I think consumers should not be bullied into changing their consumption habits, particularly by half-truths and statements lacking evidence. So let’s have a look at the reasons adults should not drink milk, shall we? Point: No other species can digest milk past babyhood. This is true. Humans are the only animal that continues to drink milk past infancy, and we are the only animals that drink milk from another species (I thought I would cover all the bases of this argument, for simplicity’s sake). However, no other species can raise prize-winning petunias, cook a steak to medium rare, or build a rocket and fly to the moon. There are so many things that no other species can do, that’s part of what sets us apart from the rest of the animal kingdom. So please, can we retire this meaningless assertion? Thanks. That said, it is true that not all, or even most humans can properly digest milk sugar (lactose). However, it does not at all follow that this food should be off limits for those who can. A better argument that the article could have made is that milk should not be pushed as a necessary food for human health when only a minority can digest it. To figure out whether dairy milk works for you or not, watch your own symptoms. If you think it is causing you some stomach upset, cut back and see what happens. If you’re like me, 30 years old and able to drink as much milk as I want, you’re probably fine, so enjoy your milk. 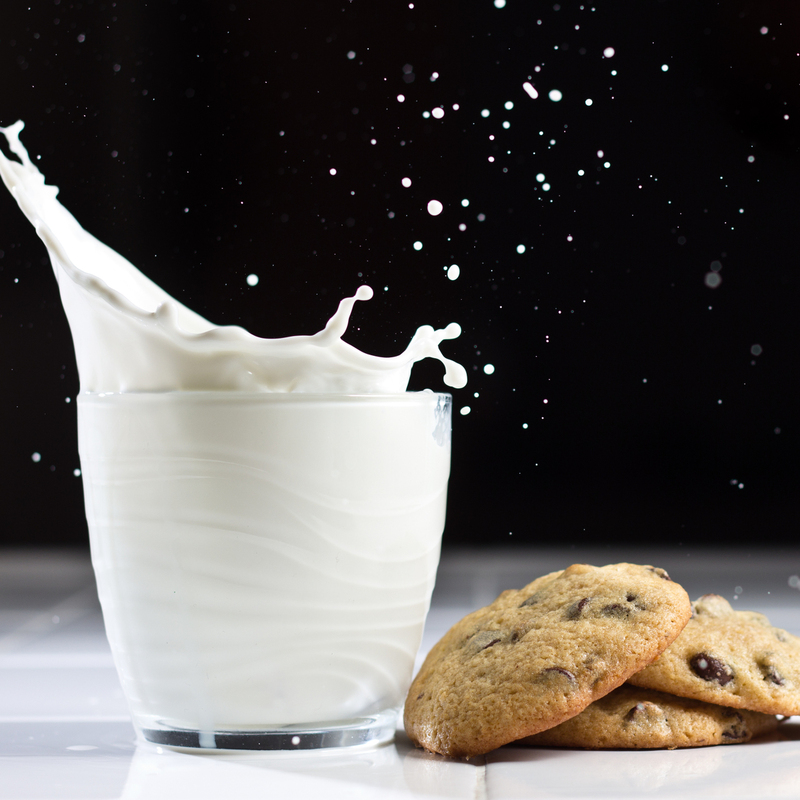 Lactose intolerance can increase as we age, so check your symptoms once in a while, but no need for preemptive elimination. Point: Babies drink milk because they can’t digest anything else and they need to fatten up and get nutrition somehow. Yes, milk is meant for helping calves grow into cows, yes it provides a lot of calories and saturated fats. The important points this article is missing are portion and frequency of consumption. Drinking one cup of milk a day (at around 130 kcal) is not likely to cause weight gain, particularly in the context of an energy balanced diet. Drinking several cups a day, or drinking milk in an excessive energy diet may result in unintended weight gain. To put this into perspective, chocolate also provides a lot of calories and saturated fats. Small amounts of chocolate occasionally will have very little effect on your health and clothing size while eating the entire gift box of Ferrero Rochers is quite a different story. The article also mentions that Asian countries, typically the lowest dairy consumers, tend to have the longest lifespans. While this may be true, these findings are based on population studies and let’s all remember, with population-based research, correlation does not equal causation. There are many, many, many other factors that differ between North America and Asia that would impact life expectancy, including overall diet, lifestyle, physical activity, stress level, emotional health, and more. Yes, we can. See my point above about not pushing dairy on the public. Next point, please. When it comes to food, gross is relative. It depends on our tastes, our heritage, our positive and negative experiences and emotional surrounding food. I’ve never tried hakarl, balut, or kiviak, but, my vegetarianism aside, there is really nothing that makes we want to try them. But I know for many others, these foods are a delightful, warming taste of home, and my personal opinion about what is “gross” should have no bearing on whether these foods should be consumed or not. Get over yourself and your own icky feelings, and let someone else enjoy their foods. Apparently there are a lot of counterpoints to this ostensibly irrefutable points against milk consumption. We probably don’t need milk to live, but humans being the adaptable creatures we are, we can probably live healthy lives while consuming milk as adults. Salt is bad, right? Refined foods are bad, right? So it must follow that the refined, ubiquitous condiment table salt must pose a health risk to humans greater than mercury, werewolves, and bears combined. At least so says this article. It’s another iteration of a health claim that has been around for several years: table salt=bad, sea salt/Himalayan salt/exotic, expensive salt of your choice=good. As always, extraordinary claims require extraordinary evidence, so let’s see how the claims for salt stack up against the evidence. First, the claim that table salt is not real salt. For most of us, salt refers to sodium chloride, an edible crystalline product that provides most of our sodium intake. Table salt contains 97% or more sodium chloride; I find it hard to see how table salt does not then qualify as “real” salt (other salts contain 90-97% sodium chloride). I will note, now, that the term salt has very broad usage in chemistry; many things can be considered a salt. But I digress. True, the salt in our shakers does not emerge from the earth in such pure white and uniform crystals, but that does not make it less salt. This claim is an appeal to the naturalistic fallacy, of which I am no fan. Avoiding refined foods is a good rule of thumb when planning your diet, but salt (whatever type you like) is not a food. It is a mineral compound, an ingredient. It affects our health and nutrition but is not, nor was it ever, a significant source of nutrition. Hence, it is not fair to liken salt that has been refined into table salt to corn kernels that have been refined into cheese puffs. Next, the article claims that the negative health effects of salt intake, most notably high blood pressure (though there is the evidence is unclear regarding the link between salt/sodium intake and cardiac event risk) are due to the high sodium content of table salt without adequate magnesium to balance it (the magnesium having been stripped away during refining). Inadequate magnesium intake does appear to play a role in high blood pressure, among other health conditions. Adult humans require 320-400 mg magnesium daily; typical intake from the western diet appears to be declining. 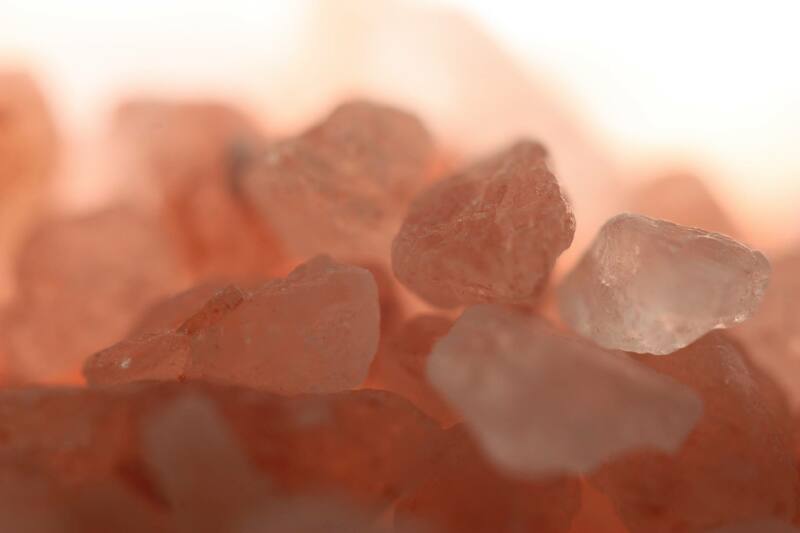 Table salt is almost completely devoid of magnesium, while sea salt and Himalayan salt do contain some. These salts also contain some amount of various other minerals, the exact compositions varying based on where the salt originated. However, it is the dose that makes the cure or the poison. Per teaspoon, sea salt contains approximately 20 mg magnesium and Himalayan salt provides approximately 0.00092 mg magnesium. Even if you did consume 1 teaspoon of sea salt a day, you would only get 5% of the RDA; that one teaspoon also provides almost the entire day’s allotment of sodium. Compare that to 1 oz dry roasted almonds that provide 20% of the RDA with minimal added sodium. Increasing magnesium in the diet is probably a good idea for most of us; the type of salt we choose will have a negligible effect on our overall intake. The same goes for all the other trace minerals found in unrefined salts. Third, the author starts discussing the dangers of inadequate sodium intake. It’s not clear what this has to do with the type of salt we choose; if we are concerned about not getting enough, then it seems that table salt would be the most reasonable choice as it typically has the most sodium (as noted above). But of course, outside of severely sodium-restricted diets, water intoxication, and a few rarely disorders, low sodium intake is of no concern: we typically consume about 3400 mg sodium daily while our needs are only 1500 mg. The author correctly points out that sodium is vital for proper nerve conduction and hydration, but what is not made clear is that, because of the importance of this nutrient, sodium regulation is a tightly controlled process . Our sodium levels are largely independent of intake; you could eat 10,000 mg sodium a day without raising your blood sodium levels. The article goes on to fear-monger about the bleaching process and additives in table salt like anti-caking agents which contain aluminum or ferrocyanide (both of which a regulated and found to be safe for human consumption). The important point here is that these additives are in minute amounts and are unlikely to cause harm. We have far better things to worry about than this. There are lots of salts on the market, but the biggest differences are the look, taste, and cost. Choose the one you like best, use the least amount you need for flavour, and don’t for a minute think that you are getting a hefty dose of any minerals other than sodium and chloride.